Today's Image of Mars comes from HiRISE and shows layers of water deposited sediment near the western rim of a large ancient crater. 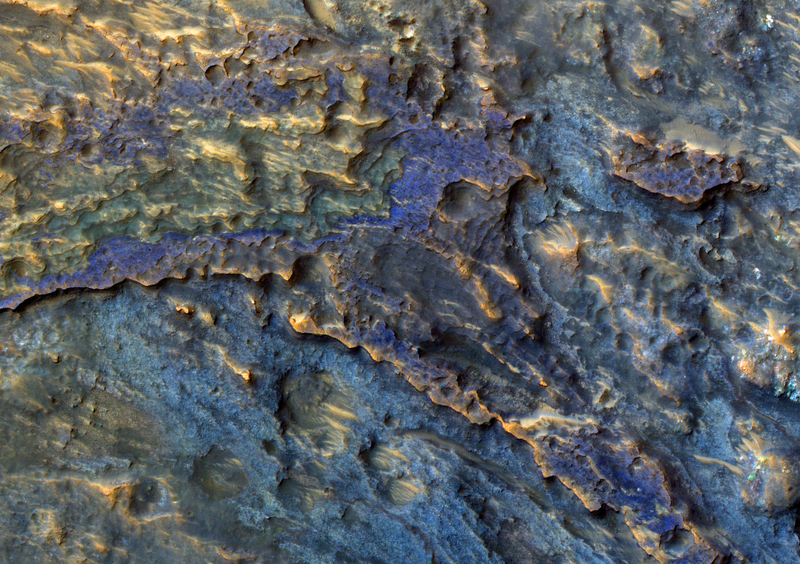 The layers seen below have a morphology similar to that seen elsewhere on Mars where channels have emerged into craters, creating alluvial fans. In this case scientists cannot find obvious signs of a channel, but believe that the deposits left behind have been erased by wind erosion and other factors.